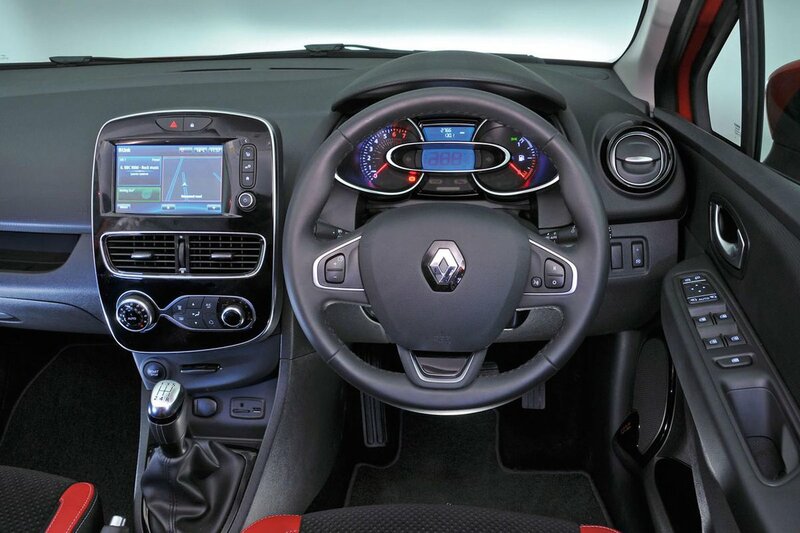 Renault Clio Interior, Sat Nav, Dashboard | What Car? Every Clio comes with a height and reach adjustable steering wheel, as well as a height-adjustable driver’s seat, so finding a comfortable driving position shouldn’t pose an issue. In fact, the driving position feels more immediately natural than it does in a Fabia. For the most part, all the controls fall easily to hand. Some may find the location of the stereo controls behind the steering wheel a little odd – you can’t see them and so need to learn to operate them by feel – plus the cruise control buttons spread across the steering wheel and underneath the handbrake are somewhat illogical at first. 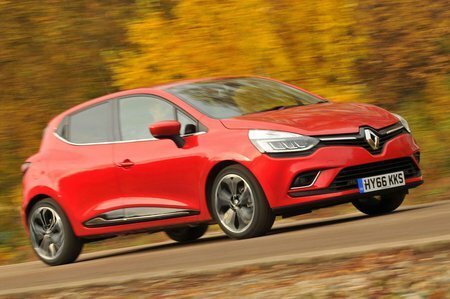 Despite the Clio’s swoopy bonnet line, it’s easy to place the front of the car, thanks to the large glass area up front. The view behind isn’t so impressive, though, and the restricted over-the-shoulder visibility is a pain. Rear parking sensors are only standard from the mid-level Dynamique Nav trim and not available on the entry-level Expression and Play editions. A rear-view camera (including front parking sensors) is standard on the upper Signature Nav model. Entry-level Expression and Play trims only get a basic system, albeit with a DAB radio and Bluetooth. However, our recommended trim, Dynamique Nav, comes with a full 7.0in colour touchscreen and sat-nav as standard. The R-link multimedia system that comes on the higher-end models adds online services such as TomTom Live, for the latest traffic reports. Even the touchscreen systems feel a little out dated by today’s standards, missing features that rivals offer such as Apple CarPlay or Android Auto that let you operate your smartphone’s apps from the screen. Also, the screen’s icons are small and fiddly, the menus are slow to respond, and the graphics look rather basic. Anything including the Polo, Fabia, Micra and Kia Rio offer much more up-to-date systems. The Clio’s cabin looks fresh and modern, with plenty of gloss-black plastics. A facelift has increased the number of soft touch plastics on the doors and around the dash but there are still a lot of cheap-looking, scratchy surfaces on show. 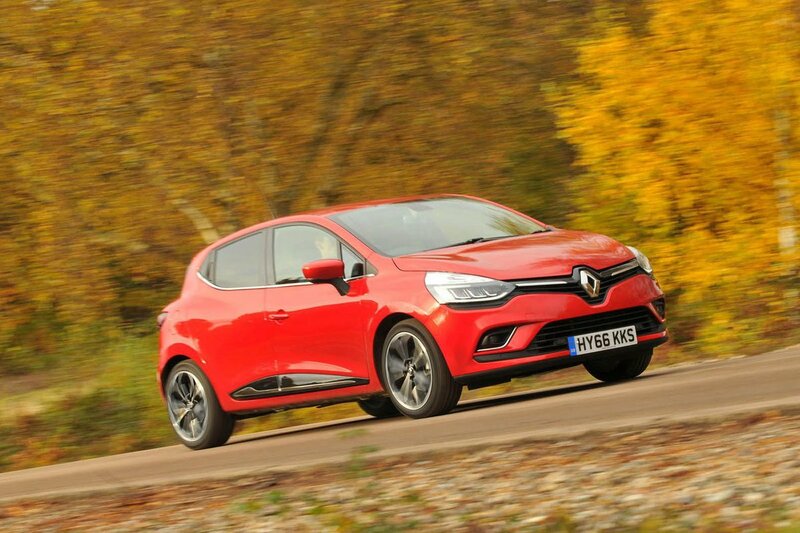 So while the Renault’s perceived quality is comparable with a Ford Fiesta’s, it falls short of a Skoda Fabia’s or Hyundai i20’s.